The drought in California is in its 4th year. Water conservation and development of new water resources are becoming more important than ever. Clever ideas and the development and application of new technologies to improve our water supplies are critical. I also feel that the massive commercial and residential development that is going on in Silicon Valley and other highly-populated areas of California is rapidly increasing demand at the same time that supplies are falling. Water may become the new currency, especially when you include the voracious water appetite in the agriculture industry!! Clever ways to apply technology to make a real impact on water saved through conservation should all be addressed immediately. Conservation measures are the easiest to implement quickly. However, most are at the household level and require participation by many to have an impact. Large-scale sources of new water supplies also most be pursued aggressively. Desalination plants offer a great opportunity to develop new supplies near the Pacific Coast. Cost and energy requirements are major issues that must be addressed to make desalination more feasible. I believe that the cost factor can be improved by standardized designs that are applied to the development of a large number of plants. The energy required for desalination can be reduced and at least “green” energy sources can be substituted for traditional power sources. Transporting of water supplies from geographic areas with huge supplies far in excess of their demand to areas where water supplies are limited also need to be explored. What are the most efficient options? What are the sizes required for either pipeline or canal transportation of large quantities of water? Canals and pipelines are already used in California for water transportation, but the sources are also in California and are also affected by the drought (the reduced Sierra snowpack, etc.). A high-percentage of the total water used in California goes to agriculture. Drip-irrigation can dramatically reduce the water used and is appropriate for many types of crops. Incentives to promote the rapid conversion to drip-irrigation for agriculture should be put in place immediately. For the remaining part of the water that goes toward commercial and residential use, a large fraction is used for landscaping. Grey-water and other sources of reclaimed water can certainly be used for landscape applications. True or False? There is No Such Thing as a Bad Idea When Brainstorming! “There’s no such thing as a bad idea!” Whether you’re in advertising, sales, HR, or just slaving away in the back cubicle, at some point, you’ve probably been involved in a brainstorming session where someone has uttered those brave words. In fact, the mantra is often upheld as the #1 “rule” of brainstorming, long embraced and championed by experts. But is it really true? After all, when you think about it, you usually hear those words when they’re being used to justify a less-than-stellar suggestion that’s just been made by a colleague. In reality, aren’t there at least a few bad ideas lurking in the shadows? In our SmartStorming corporate training sessions, we always introduce the “no bad idea” notion. More often than not, a heated debate ensues. Most of us have at least a vague understanding of the expression’s meaning—but many of us just don’t buy it. When the debate comes up, there’s always one participant, and often many more, who challenge this notion that bad ideas don’t exist. We typically hear comments like, Of course there are bad ideas! If we all decided to jump out of the window right now and defy gravity, wouldn’t that be a bad idea? Autodesk headquartered in San Rafael, CA is an early player in the CAD software space with AutoCAD and later the Inventor line and is the developer of a range of 3D design, engineering and entertainment software. Autodesk announced that it has completed a $286 million acquisition of U.K.-based Delcam, a supplier of computer-aided manufacturing (CAM) software. The companies first announced plans for the deal in November. Delcam will operate as an independently operated subsidiary of Autodesk, with no significant changes to its business. “The acquisition of Delcam is an important step in Autodesk’s continued expansion into manufacturing and fabrication and beyond our roots in design,” said Buzz Kross, Autodesk’s senior vice president for design, lifecycle and simulation products. Comprised of biocompatible metal or biodegradable polymers, stents bear a complex geometry, enabling them to act as effective scaffolds. As they must be able to push against the internal walls of the blood vessel or other conduit into which they are placed, their mechanical integrity is of the utmost importance. An insufficient level of flexibility can result in tissue damage while insufficient rigidity inhibits the device’s capacity to support natural flow. Designed to address specific applications, stents are available in a wide range of sizes, diameters, mesh patterns, and strengths.An intraluminal coronary artery stent is a small, self-expanding, metal mesh tube placed inside a coronary artery following a balloon angioplasty procedure. This particular type of stent is designed to prevent the artery from re-closing. As it is placed within an artery, it is subjected to rather large forces that must be thoroughly characterized during the product development cycle and as part of quality management initiatives. Drug-eluting stents are among the most recent types of stents approved for use. Coated with time release pharmaceutical compounds, drug-eluting stents are also utilized in cardiovascular procedures to maintain blood flow. According to the New England Journal of Medicine, more than 500,000 patients in the United States are implanted with drug-eluting stents annually. A chief benefit is the reduced risk of repeat revascularization, a condition in which the patient requires additional cardiovascular procedures. The CES (Consumer Electronics Show) in Las Vegas, NV is famous for being “the” place to debut exciting new technology. The 2014 CES appears to live up to the history of the show. Take a look at some new gadgets from last week’s Consumer Electronics Show in Las Vegas — a self-balancing electric skateboard, a sensor family that will keeps you on track, and a protective iPhone battery case with 32GB built-in storage. 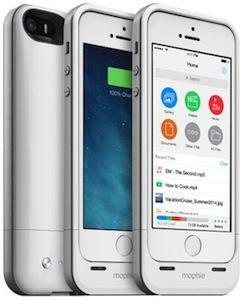 As a new owner of an iPhone 5s, Mophie’s Space Pack looks very interesting (more battery life and more storage are always important!!). The big question is how much added thickness and added weight. The form factor in the photo below looks impressive and the Space Pack adds up to 32GB of storage and is claimed to add 100% to the standard battery capacity of the iPhone. You do need a protective case anyway, right?? Mophie’s space pack not only serves as extra battery life, but it also increases the storage to your iPhone 5/5s. This protective battery case with built-in storage increases your iPhone battery by 100 percent and gives you up to 32GB of extra memory. There is also a Space app that allows you to organize, share, and access the content on the space pack’s storage. Once items are stored, you can access all the files without any network data usage. Another perk is that a USB cable is included so you can charge and sync your iPhone and space pack at the same time. You can pre-order the space pack for $149.95 for the 16GB or $179.95 for the 32GB versions, beginning in March 2014. Is Zinc the Perfect Material for Use in Bioabsorbable Stents? Much of the development around bioabsorbable stents and other bioabsorbable implants have focused on a polymer, PLLA (poly-L-lactic acid) as the base material. Some new research indicates that a Zinc alloy may make a better bioabsorbable stent as compared to PLLA. The Zinc would degrade through a corrosion mechanism. Openly available preprint versions of the communication are available on ResearchGate ( http://goo.gl/iPPSB ) and Scribd ( http://goo.gl/I3lrs ). Medtronic Inc.’s CoreValve system infringes on a patent of Edwards Lifesciences Corp., according to the ruling of a federal court jury in Delaware on Jan. 15. The ruling, part of an ongoing legal battle between the two companies, holds Medtronic liable for $393.6 million in damages. 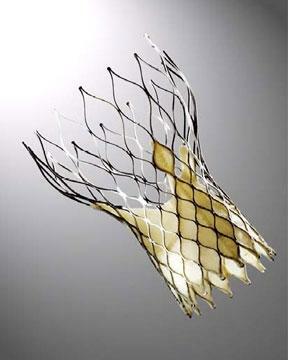 CoreValve is used in a transcatheter aortic valve implantation (TAVI) procedure, a minimally invasive treatment option for people with severe aortic stenosis. It received CE mark in Europe in 2007, but is not yet available in the United States. Minneapolis, Minn.-based Medtronic expects U.S. Food and Drug Administration approval by the completion of its 2014 fiscal year (end of April). Edwards has had the U.S. aortic valve market to itself since November 2011. Analysts expect TAVI to be a $3 billion worldwide market by the end of the decade. Edwards and Medtronic are the two largest players in the European market for transcatheter aortic valves. And, perhaps as a result, the companies are no strangers to this sort of court battle. They have battled it out in U.S. and European courts before about patents held by Irvine, Calif.-based Edwards. A colleague pointed me to this very interesting article in the Dec 31, 2013 Washington Post written by Brian Fung. The article highlights some of the significant differences between the duration of copyright protection versus patent protection. And also points out a number of iconic works that would be in the public domain now except for Congressional extensions of copyright protection. The title of the article is: “If not for Congress, Superman, Lassie and Scrabble would be free for anyone to reproduce tomorrow”. After the copyright extensions by Congress in 1998, works before 1978 can have copyright protection for up to 95 years!! Today I posted the movie that was shot live from Black Mountain of the 1988 explosion at the PEPCON Plant in Henderson, NV. This is one of the most incredible movies of an accident that you will ever see because it captured almost the entire sequence of a process plant fire and several explosions; an incredible disaster while it was in progress. Go to the Articles menu and read the background and details on this accident. Then hit the link “Click for Movie of actual Explosion“. You will be amazed!! It is rare for an accident of this speed and magnitude to be filmed as events unfold!! (Note: You can also use the highlighted links from this Blog post). Dr. Kim Parnell worked extensively on this investigation while at Exponent.